Takua was an Av-Matoran who was taken from his homeland during the Time Slip and placed in Ta-Metru. He later lived in Ta-Koro after the Great Cataclysm, and led a life of a wanderer and adventurer. The discovery of the Kanohi Avohkii, the Mask of Light, revealed him to be the Herald, meant to discover the Toa of Light. The actions of Makuta Teridax resulted in the death of his best friend Jaller, causing Takua to realize that he was destined to be the seventh Toa. He donned the Avohkii and transformed into a Toa, renaming himself Takanuva. Takua assisted in the construction of Ta-Koro under Turaga Vakama, using materials from Airships used in the Great Rescue. [BW] He made a living there, along with with the rest of the Ta-Matoran. He was always eager for new adventures, and was not always content to stay in his village and work. Due to his poor work ethic, Takua was banished from his home of Ta-Koro. Awakening on a beach, he was told by a Ta-Matoran that Turaga Whenua had an important job for him. Upon entering Onu-Koro, he learned that Turaga Whenua had been kidnapped by Rahi and that his staff had been stolen. Takua bravely rescued the Turaga from a Vatuka and recovered the Firestaff, the lost Toa Stone of Earth, and two Vuata Maca Crystals. Whenua informed him that the Rahi had been stepping up their attacks, and that he must continue to help the other villages. Takua picked up a Volo Lutu Launcher and Madu fruit. After competing in a Great Ussal Race, Takua left Onu-Koro. After competing in a Ngalawa Boat Race, Takua found the same problem in Ga-Koro that faced Onu-Koro. Takua set out through Ga-Wahi and found Madu Cabolo fruit. Outwitting the Makika toad guarding Nokama, he healed the Vuata Maca tree and found the Toa Stone of Water. In Po-Wahi, Takua found the Drill of Onua and the Stone Hammer. After rescuing Podu, Takua healed the Vuata Maca, saved Onewa from a Kofo-Jaga, found the Toa Stone and played Kolhii. He also began to use Bamboo Disks. After competing in Kewa Bird Riding to enter Le-Koro, Takua found the problem all Koro were facing. Takua found the Ice Pick, the Tree Crystals, saved Matau from a Kewa nest, and found the Toa Stone. Before leaving, Takua was given the Kau Kau Staff to use. Most villages give Takua Amana Volo Spheres. Takua gathered Kapura, Maku, Hafu, Taipu, Tamaru, and Kopeke, all Matoran he had met on his journey. Takua, shortly before the Kolhii Championship, went wandering around Ta-Koro. While exploring an underground cave, he discovered the Kanohi Avohkii, the Mask of Light. He was nearly killed by a lava surge, but was saved by Tahu at the last minute. At the Kolhii Championship, which Takua's adventuring had made him and Jaller late for, the Ga-Matoran won, much to the mortification of the Ta-Matoran. As the tournament concluded, the Avohkii fell out from Jaller's bag where it had been stowed. The Avohkii shone on Takua to indicate he was the one chosen to find the seventh Toa, however Takua tilted it to shine on Jaller, his best friend, instead. Turaga Vakama charged Jaller with the quest, but Jaller convinced Takua to come with him. Shortly after transforming, Takanuva helped defeat the remaining Rahkshi. With the assistance of the Toa Nuva, he built a vehicle called the Ussanui, using designs stored within his mind, from Rahkshi parts, powered by a Kraata. The Kraata returned to Teridax, leading Takanuva to Mangaia. The Ussanui was wrecked when Takanuva used it to break through the door to the lair. It was then that Hahli emerged from the wreckage of the Ussanui and volunteered to be the Chronicler now that Takua was a Toa. Takanuva accepted, sending her up to the surface to summon the Matoran. He later spotted Makuta Icarax[BL9, p. 98] diving into the Silver Sea around Metru Nui. The Makuta emerged carrying the Kanohi Kraahkan, but escaped before Takanuva could reach the spot where he was. While patrolling Metru Nui, Takanuva felt a dark presence trying to invade his mind. Pushing back, he managed to locate the source: a Dark Hunter by the name of Dweller, who was hiding in the Archives. As he was rushing towards the Archives, however, a Shadow Leech dropped by Makuta Icarax jumped onto him and slowly started sucking out his light. As a being of light, the prospect of having his light being drained away was agonizing. Bearing the pain, Takanuva concentrated a light beam on the leech, incinerating it. When the Toa of Light awoke, he found himself in the dead Rahi specimen examination room in the Archives; part of his inner light had already been sucked out, granting him dual control over Light and Shadow. In the room, he met Toa Helryx and Toa Krakua of the Order of Mata Nui. Helryx quickly informed him of the existence of the Order of Mata Nui, and told him that he needed to help the Toa Nuva. Krakua placed a Kratana on Takanuva's mask and he was flushed with recollections of the Toa Mata's past. As a result of the damage to the Olmak, Takanuva was instead transported to a pocket dimension where he found himself surrounded by a forest full of black trees and dying grass. Suddenly, he encountered a Spectral Mask floating in the air. It informed him of a village that was in terrible trouble, and the Toa of Light ran to save it before the mask finished talking. When Takanuva arrived at the village, he was surprised to find out that it was a huge city full of silver towers. Inside the city, he encountered a race of Kestora. These beings were in combat with a huge creature, which Takanuva took to be the source of the commotion and danger. He attacked the beast, which fled. However, instead of thanking him, the small beings began laughing at him and locked him outside of the city. Takanuva then went back to search for the mask, which told him of his mistake, and how it had tried to tell him the entire situation beforehand. Takanuva then found out that the large creatures were actually gentle and kind, and the one he chased away was the last of its kind residing in the city, which had been taken over by the small beings. Takanuva then searched for the beast to convince it to trust him, in which he succeeded, and developed a plan. Takanuva created a fireworks show outside to distract the small beings while the beast returned to its former home. Upon leaving the City of Silver, Takanuva was transported to an alternate universe, one where beings of all species were living together. Takanuva first met Macku and told her who he was, but she did not believe him. She then took him to Axonn, who deemed Takanuva trustworthy, but had his Staff of Light taken as a precaution. Takanuva then went to see Jaller and attempt to discern what was going on. He learned that he was on the island of Mata Nui, despite it being a city immensely larger than the old Metru Nui. Jaller directed him to a Wall of History that told of how Matoro had failed to use the Ignika and Mata Nui died, 10,000 years beforehand. He learned that Metru Nui's Turaga had expected such an outcome and gathered together many of the Matoran Universe's species, and, with help from the Order of Mata Nui, migrated to the surface for safety. Then, the Order and that universe's Takanuva kept the Makuta at bay to prevent their migrating as well. That Takanuva then created light barriers designed to keep beings of Shadow out. His destiny fulfilled, the Takanuva of that universe used his Toa Power to create six new Toa: Kapura, Balta, Dalu, Velika, Defilak, and Tanma. He was then transformed into a Turaga and made leader of the new Kingdom of the Great Spirit. He ruled the Kingdom with the help of the ruling council, made up of Turaga Dume, Nektann, Roodaka, the Shadowed One, Helryx, and a Nynrah Ghost. Toa Takanuva then traveled to the city's Coliseum to speak with his alternate self. Upon arriving, he also instead sent a message to Helryx, saying in it her original plan about what Takanuva was to do in Karda Nui. He was then escorted to Turaga Takanuva's chambers, who had figured out that the Toa was his former self. He then asked Toa Takanuva to help find a way to fix the light barriers keeping the Rahkshi and Makuta out of the Kingdom before they would find a way to return him to his own universe. Turaga Takanuva took his Toa counterpart, along with Tanma, to meet a Fe-Matoran Nynrah Ghost who armed him with a Power Lance and a Midak Skyblaster. Takanuva and Tanma then departed, with Tanma wanting to head towards the nearest light barrier. However, Takanuva instead insisted on visiting Matoro first. Takanuva managed to convince Matoro to accompany them by telling him that it was a chance to be seen as a hero again. The trio went to the abandoned Bohrok tunnels under Po-Wahi to investigate the light barriers there. Finding nothing wrong, Takanuva and Tanma started to leave, but then heard the sound of ice blasts behind them. They turned to find Matoro confronting four Rahkshi on his own. More Rahkshi were passing through the barrier, garbed in Shadow armor that permitted them to cross the barrier unharmed. After they had defeated the Rahkshi, they saw Teridax emerge from the tunnel. Teridax had driven Icarax from his armor and possessed it, then went on to absorb all of the other Makuta into his essence, becoming a monstrous behemoth. Takanuva managed to knock Teridax's mask off, and Tanma destroyed it, only to be caught by Teridax and disintegrated. He then created a Shadow hand to absorb Matoro, and Takanuva attempted to stop him, but was stopped himself by Matoro. As Matoro was absorbed, Teridax's will was overpowered and Matoro killed him from the inside, sacrificing himself in the process. After Takanuva's arrival, the group attacked the Coliseum. In the beginning of the assault, Takanuva blinded the guards with his Shadow powers. For much of the fight, he simply watched the battles raging around him, even witnessing his alternate self be killed by a Toa of Iron. Later on, he joined Darkness in sneaking in to the Coliseum through cracks in the wall. Once inside, Darkness was swept away by rushing water and Takanuva was confronted by Tuyet, who had figured out that Takanuva was not from their universe. [DM, Ch. 8] Takanuva and Tuyet then battled against each other, with Takanuva's attacks counteracted by those of Tuyet's. As Tuyet prepared to finish him off, the pair noticed from a hole in the Coliseum wall that the Matoran and other races had joined the rebellion as well. Takanuva managed to convince Tuyet to open up a portal using the Olmak and go to another dimension where she could start anew. However, as Tuyet prepared to step into the portal, Takanuva ripped the mask off Tuyet's face and entered the portal himself. Takanuva then emerged from a portal in the western portion of the Swamp of Secrets, and was enlarged in size by the energies of the place. Upon his arrival, he saw Gali fighting against Krika. Takanuva used his powers of light to drive Krika off, who then vanished into the mists. After a brief conversation concerning how Takanuva had reached Karda Nui and his newly increased size, he and Gali then went to find the other Toa Nuva, to warn them of the danger they were in. Takanuva set the sundial down and shone light on it to determine the direction he had to go. As the shadow fell to the east, he chose to go in that direction. Takanuva then explained to Gali that the sundial pointed in the direction of the location from where Mata Nui must be awakened. Before he could continue, an orange being appeared heading towards them, which Takanuva did not recognize. The Toa of Light prepared to attack, urged on by the dark side of his mind, until Gali stopped him - the new arrival was Pohatu. Soon, the three Toa spotted a group of Niazesk in the swamp, which attacked them. Pohatu and Gali only managed to take one Niazesk down before Takanuva decided to assist them. He raised his Power Lance to fire a burst of Light, but then decided it might not be powerful enough, and instead unleashed Shadow energies. The blast defeated the Niazesk, but it caused Pohatu to think that Takanuva was Teridax in disguise. He later joined the Toa Nuva in a battle against the eight Makuta in the swamp, who all fled. Tahu then showed him the Keystone, and was about to read it when the Toa Ignika, who had just learned to speak, arrived and warned them of the countdown. Takanuva then informed the assembled Toa of the Energy Storms as well. After a battle between the Toa and the Makuta, the Toa Nuva entered the Codrex, along with Takanuva and the Toa Ignika. Takanuva witnessed the discovery of the vehicles and the theft of Jetrax T6. Angered at the actions of the Makuta, Takanuva grew to believe that it was his destiny to destroy all the Makuta, and left the Codrex to do so. He followed Kopaka, who was pursuing the Jetrax T6, out of the Codrex. Kopaka encountered Radiak, and was combating the Matoran when Takanuva offered to help. As Kopaka left, Radiak insulted Takanuva, calling him a "Toa of Twilight". Though angered, Takanuva realized that the Matoran needed to be cured, and enlisted Tanma, Solek, and Photok to help him. He was thinking of a way to help the Matoran when Photok alerted him to the presence of Vican. The newcomer claimed to know a way to save the victims of the Shadow Leeches, having been cured himself. He then went with Vican, and witnessed Radiak become an Av-Matoran again. Takanuva next sent the Matoran to gather up all of the Matoran in Karda Nui. Immediately afterwards, Takanuva was attacked by Chirox and Bitil, the latter leading past selves summoned with his Kanohi Mohtrek. Wild with fury, Takanuva pierced Chirox's armor using a beam of light, and attacked Chirox at such ferocity that the Makuta could not respond. In his anger, he forgot about Bitil and was almost defeated by one of Bitil's duplicates. However, Bitil was struck by Kopaka piloting the Jetrax T6, causing the Makuta's concentration to shatter and thus stopping his mask from working. Takanuva attempted to kill the fleeing Makuta, but was stopped by the Toa of Ice. He informed Kopaka that the Makuta intended to awaken Mata Nui, and Kopaka went to inform the others. Takanuva then tracked down the last Shadow Matoran, Gavla. He directed the female Matoran at the Klakk, whose attack allowed light to begin returning to both of them. Seeing this, Takanuva sent Gavla, to the Matoran's displeasure, away with her fellow Av-Matoran, who were departing through the western portal of Karda Nui, and rejoined the Toa Nuva. They escaped the Energy Storms and arrived back in Metru Nui, assisting it in defeating the remaining forces of the Brotherhood of Makuta. Takanuva and the other Toa Nuva escaped into the Archives, fleeing from Rahkshi. Soon they regrouped in a deep underground chamber, where the Turaga and Matoran hid as well. The Turaga found Krahka, who allied with them, and revealed the locations of underground passageways through which they could escape Metru Nui and contact other Toa in other lands. Tahu then came up with a plan, which was that all the Toa would split up and wreak havoc around the Matoran Universe, thus distracting Teridax. The Toa then met Trinuma on Stelt, who informed them of Daxia's destruction and that only some members of the Order managed to survive. Partnered with Pohatu, Takanuva then proceeded to Destral, where they saw the ruins of the island and the armor of the dead Makuta. While Pohatu searched for weaponry, Takanuva went looking for Destral's teleportation device, in the hopes of using it to contact another universe and seek help, or a way to defeat Teridax. [TB] He later found the device, and requested for Nuparu to assist in learning how it worked, but failed to have it repaired. After Teridax landed on Bara Magna, Takanuva reunited with Tahu to follow some Rahkshi south. The two witnessed a massive quake and Tahu saved them from a block of metal falling toward them. Takanuva feared an attack by Teridax, but Tahu understood someone was attacking Teridax. The Toa of Light then expressed his doubts about chasing after the Rahkshi, but Tahu reminded him they were gathering Toa to fight. Takanuva found a cache of weapons, and the Twin Light Staffs. His Power Lance and Midak Skyblaster were abandoned. [JE] The virus given to him by Krika in the Toa Empire Alternate Universe wore off, and he lost his power of flight. Takanuva eventually made it out of the Matoran Universe, altering his armor color to be less visible in order to avoid drawing attention to himself. Upon exiting through the hatch in pursuit of Rahkshi, he was caught in a blast of Air fired by the Glatorian Gresh, who had mistaken him as an enemy after seeing the Rahkshi exit. The attack angered Takanuva, who promised to defeat the stranger. Tahu and the small army who had followed Takanuva soon realized that the stranger was an ally, and Gresh departed with them to fight. Tahu was soon devolved back into a Toa Mata by the Ignika, and the two Toa witnessed the Golden Armor being formed. Takanuva spotted an incoming blast from Teridax, and the Golden Armor pieces were scattered. While searching for the pieces, Takanuva was assaulted by a squad of Heat Vision Rahkshi. As Teridax had enhanced the armor of the Rahkshi, Takanuva's power was not as powerful against them. After being overwhelmed by their power and hit by Heat Vision, Takanuva managed to create a hologram of himself using his light powers, which fooled the Rahkshi into attacking each other. Afterwards, Takanuva recovered the armor piece from the Rahkshi. Reuniting with Tahu and Gresh, they joined the pieces of the Golden Armor, which Tahu donned. The energies of the Armor obliterated the Rahkshi, and Teridax was ultimately defeated by Mata Nui. Tahu and Takanuva looked out at the unmoving body of the Matoran Universe, Takanuva hoping that once and for all Teridax was dead. He later changed his armor color back to gold. Takua was always adventurous and very curious, which often led him into trouble. He helped those who needed it, and was eager to accomplish any task. Takanuva was initially uncomfortable with being a Toa, preferring to spend time with his Matoran friends. However, he is willing to step up and claim the responsibility of a Toa, and has devoted himself to the cause, studying hard under the tutelage of the Toa Nuva. As an Av-Matoran, Takua had the potential to harness minuscule amounts of light energy and disguise his outward appearance. However, as he believed that he was a Ta-Matoran, he could not use any of these powers, and remained under the guise of a Ta-Matoran. As a Toa, Takanuva controls Light, and wears the Avohkii, Mask of Light. He can create lasers, beams of light, and is experimenting with increased speed and solid light projections. Takanuva can also change his appearance and colors by bending light. Because he was a Matoran of Light, Takanuva has the potential to access all of the Av-Matoran special light-based powers, but only after intense training. After being exposed to a Virus crafted by Makuta Krika from the Toa Empire Alternate Universe, he could fly. However, the effect was only temporary, and has since worn off. After having his light partially drained, Takanuva controlled Light and Shadow, with the ability to fire Light from his left hand and Shadow from his right. A side-effect of the attack was that Takanuva had dark urges which grew increasingly harder to resist. Also, during this time, his light did not regenerate, so if he had used too much of it, he would have become a full Toa of Shadow. After being cured by the Klakk, these effects were removed, and Takanuva commands the abilities of Light once more. 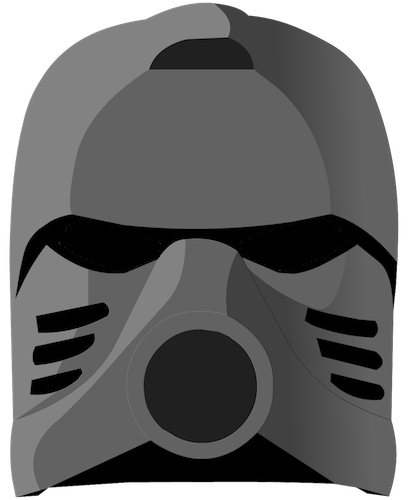 Upon being exposed to the energy of Karda Nui, Takanuva was enlarged in size and granted an increase in strength. Upon returning to Metru Nui, his size was reduced to normal, and he is now in his original form. Matoran Takua used several tools to perform his duties as Chronicler, such as the Chronicler's Staff and the Book of Chronicles. As a Kolhii player, he also used a Kolhii Stick and a shield. His original Kanohi on Metru Nui was broken, and he acquired a powerless Pakari as a replacement, though the Pakari often came loose. Takanuva wears the Kanohi Avohkii, the Great Mask of Light. It is said to create light in darkness and to bring friendship and understanding to enemies. His first Toa Tool, the Staff of Light, could channel his light energy in a beam and could scoop up balls of light, as well as giving an advantage in Kolhii. When Takanuva entered the Kingdom, his Staff of Light was taken from him, because weapons were not permitted inside the Kingdom of the Great Spirit. He was later given a Power Lance and a Midak Skyblaster by a Nynrah Ghost. The Power Lance acted differently than most Toa tools, as it could amplify elemental power in addition to channeling it. Takanuva eventually discarded his Power Lance and Midak Skyblaster in exchange for the Twin Light Staffs. Takanuva riding the Ussanui, a feature of the 2003 set. Takua as a Matoran was officially released once, as part of the 221-piece 8595 Takua & Pewku set in 2003. The large boxed set depicts his form following The Rebuilding. Takua wields a Kolhii Stick and puck in this set. Also released as a large boxed set of 2003, 8596 Takanuva came with his vehicle, the Ussanui. The set included 200 pieces altogether (38 of which are to build Takanuva, while the remaining 162 are to build the Ussanui). Spinning a gear on Takanuva's back causes the set to swing its right arm. This set includes exclusive gold Nuva armor as well as the Staff of Light (which could be attached to his back for storage) and two Kanohi Avohkii: one gold (for Takanuva) and one clear with gold speckles (representing the mask in use). This set could be combined with 8593 Makuta to build Takutanuva. The two sets also came together in a combo pack, 3287 Takutanuva and again, along with a promotional "movie version" of the Kanohi Kraahkan, in 10201 Takutanuva. Takanuva was released again in summer 2008 as a large boxed set. 8699 Takanuva depicts his form following his partial light drain and his enhancement by the energies of Karda Nui. He wears a new form of the Kanohi Avohkii and wields his Power Lance and Midak Skyblaster. The set contained 267 pieces. 7135 Takanuva was later released in 2010 as part of the BIONICLE Stars line. The figure consists of 21 pieces, including the Golden Armor piece (one of the chest/shoulder pieces) included with the set. Takanuva could be combined with the five other Stars to form the Gaardus model, the instructions for which were released on BIONICLE.com. "Add to that foiling the ingenious attempts by some Matoran to try and take unscheduled vacations from work — one Ta-Matoran, Takua, practically rated an entire Nuurakh squad to himself — and Vahki could safely be said to have seen it all." "Yes, work. You know, that thing you do all day? That thing Takua is apparently allergic to?" "You are an absolute in these uncertain times. Your past is forgotten, and your future is an empty book. You must find your own destiny, my brave adventurer." "Oh, Takua, he's got more rocks in his head than a Po-Matoran." "One day, your power will be all that stands between us and the darkness ..."
"What's white and gold and can't keep a secret to save his life?" "In over 100,000 years, the Order has revealed its existence to very few, and then only in a time of great need. This is such a time — and we have need of a unique Toa, one who walks the world of both light and shadow." "You'll be hearing my name someday, whenever people talk about heroes - Takua!" "He is. Darker, perhaps, and not quite the innocent Takua or the eager hero we remember ... but he is our friend." "But I'm not my 'kind', not anymore — your shadow leeches saw to that. I'm half Toa of Light, half Toa of Shadow. This was what you wanted, wasn't it? Toa consumed by darkness, Toa not hampered by things like mercy or morality. Well, now you can choke on it." Jason Michas voiced Takua/Takanuva in Mask of Light. Takanuva is the only Toa of Light in the main universe. Due to his name, Takanuva is sometimes thought to be on the same power level as that of a Toa Nuva, or a part of their Toa Team; while he is not inherently stronger than a normal Toa, he is considered an honorary member of the Toa Nuva. Greg Farshtey's intended destiny for Takanuva was for him to play a crucial role in a civil war between the Great Beings involving Velika. [CwGF] However, since the BIONICLE story was discontinued, this destiny never came to pass. Takanuva's Power Lance, Midak Skyblaster, and increased size in BIONICLE: Journey of Takanuva were simply acts of artistic license. Despite not having actually obtained the weapons or changed in size, the character depicted in the book needed to resemble the set, and thus those features were included. Takua made a cameo appearance in the LEGO.com 3D adventure game Backlot. He was seen in the cafeteria drinking coffee and reading a script for BIONICLE: The Swarm. In Backlot, his name is George, which was the placeholder name Templar Studios used for Takua. While he does not appear in any known build of the game, Takua was mentioned by an Onu-Matoran dancer in the alpha v0.006 build of BIONICLE: The Legend of Mata Nui. This page was last edited on 3 February 2019, at 22:22.